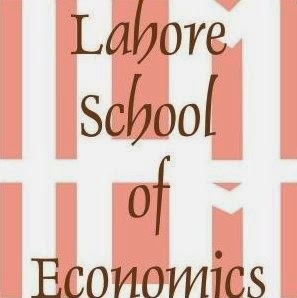 The Lahore School of Economics Executive MBA Program has been specially designed to offer mid-career professionals the chance to realize their full potentials which will ultimately lead to career advancement and a brighter future. Executive MBA is a 2 years program requiring completion of 72 credit hours. Class timing would be from 6.00 PM to 9.00 PM from Monday to Saturday at City Campus (Liberty). Executive MBA is intended for full time working executives with minimum of three years work experience. Admission to the Lahore School Executive MBA Program is regulated through an entrance examination and interview process. BA, B.Sc, B.Com or BBA Degree is necessary pre-requisite for regular admission into the Exec-MBA Program. Dead line for applications for Session 2005 is July 31, 2005. For more details contact at Tel Numbers (92-42) 5714936, 5874385, 5751148, 5873094, 5876065 or visit Admission Office at Lahore School of Economics, City Campus, 104-C-2, Gulberg – III, Lahore. DR. Muhammad Rafiq Khan, the Senior Research Fellow at the Center for Advanced Research in Economics and Business, gave out a talk on Socio Economic Analyses of Kasur Tannery Pollution Control Project in Lahore school of Economics. During the talks, the Guest Speaker explained the technology, plant design, cost analyses, and socio economic benefits of the Project – first of its kind in Pakistan. The lecture was followed by question answer session.